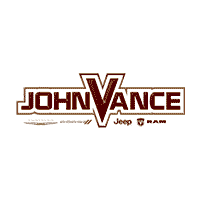 With over 30 years serving the greater Oklahoma City region, John Vance is the comfortable place to purchase a vehicle. We are a family owned and operated dealership that appreciates our loyal customers. Feel free to come on in, grab a cup of coffee, and tell us your latest fishing story. We are expert listeners, and the better the story, the better we listen. If you are trying to get away from the hustle and bustle of a car dealership then we are the clear choice. If you don’t see what you are looking for, contact us, and we will let you know when vehicles arrive that match your search! Or if you would rather discuss your options with our friendly sales staff, stop by 5302 S. Division Street I-35. We look forward to serving you!